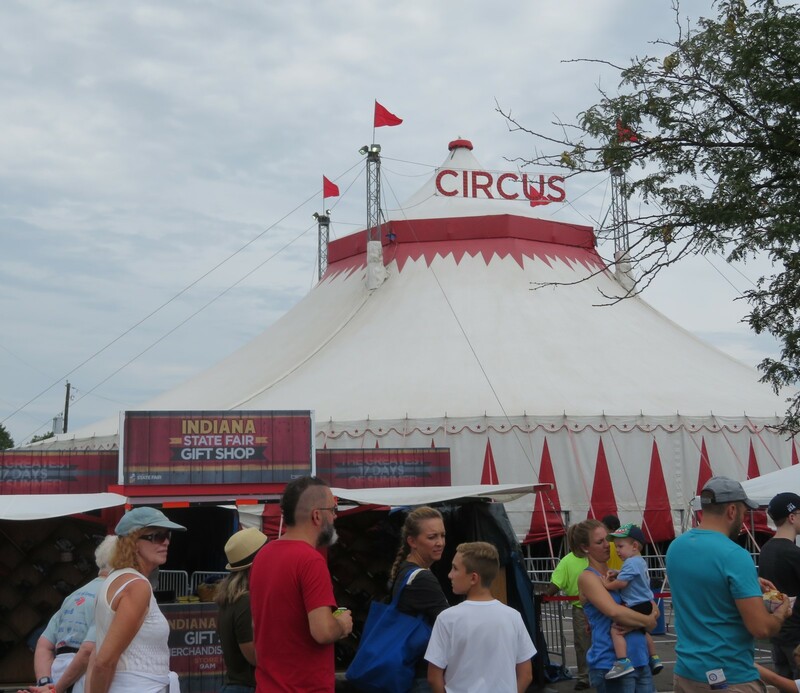 Indiana State Fair 2018 Photos #2: The Year of the Circus « Midlife Crisis Crossover! 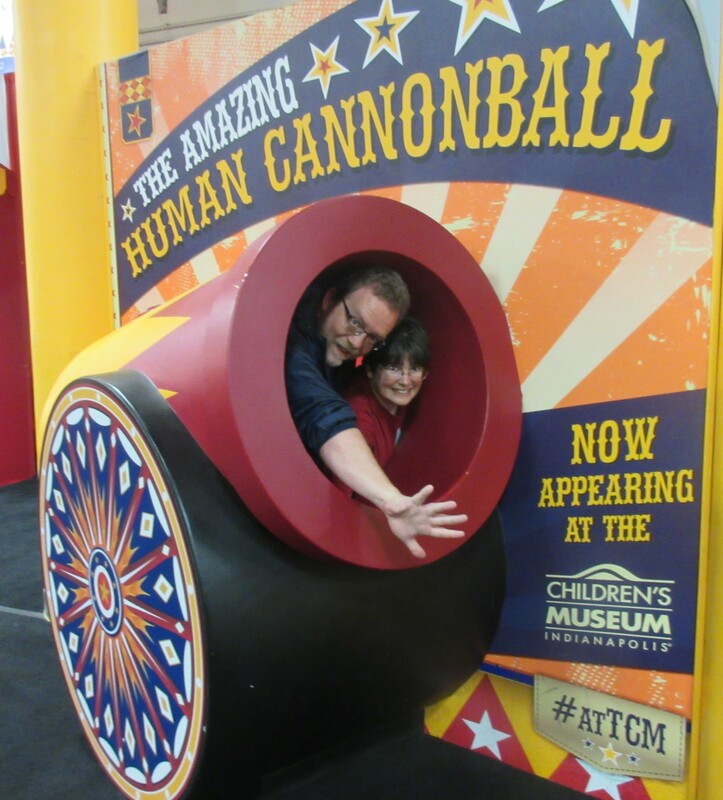 Presenting Mr. and Mrs. Human Cannonball! 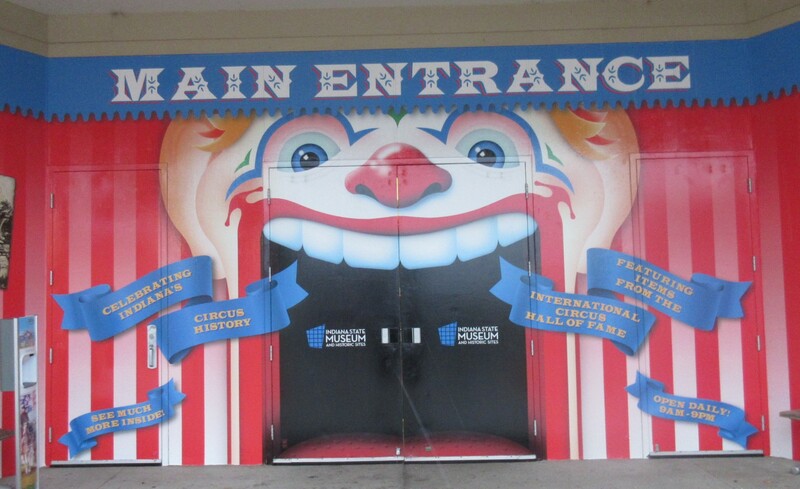 …but when we’re full, or encounter long stretches of walking between food stands, we also get a kick out of visiting the various exhibit halls. 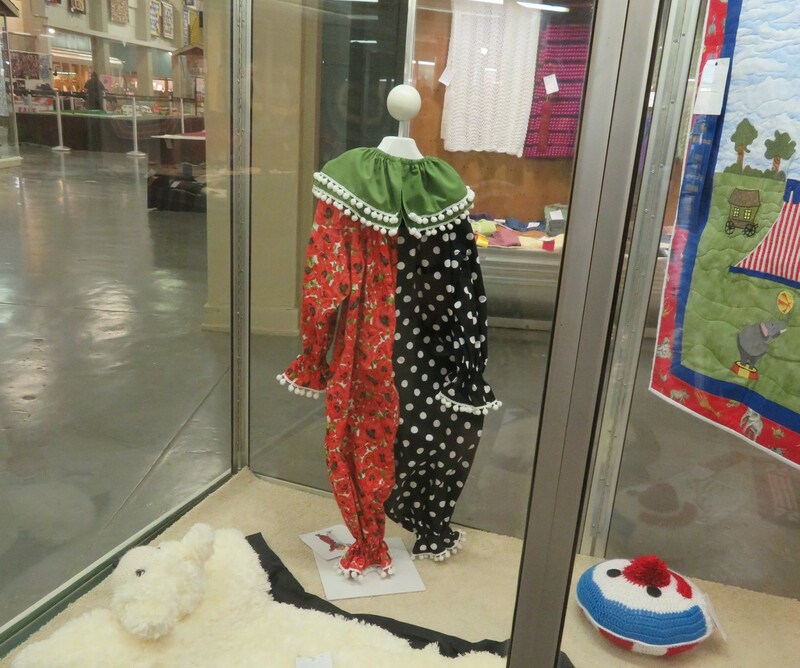 Whether it’s handiwork by kids in 4-H, local adult artists, and/or innovative collectives, artists a-plenty have their creations tucked away all throughout the land. Sometimes there’ll also be featured historical collections, which is nice and often incidentally educational. 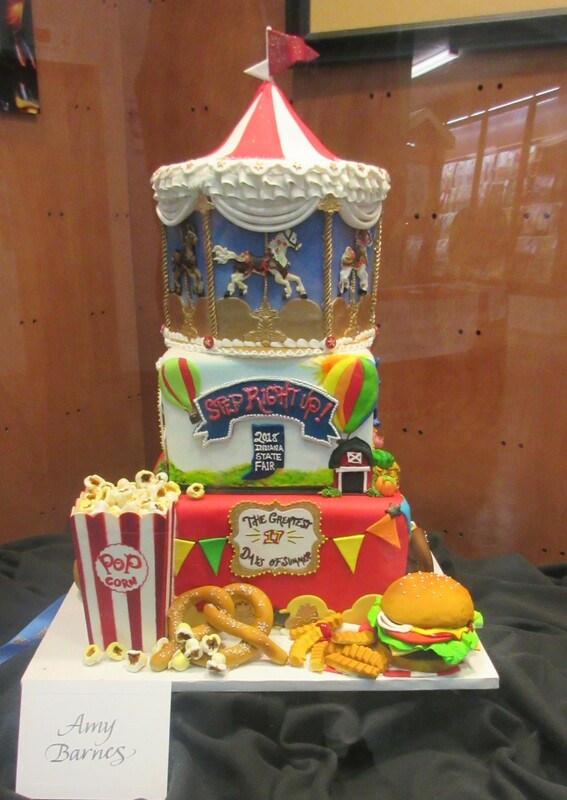 After going for a year or two without any discernible theme, this year our state fair landed on celebrating The Year of the Circus. 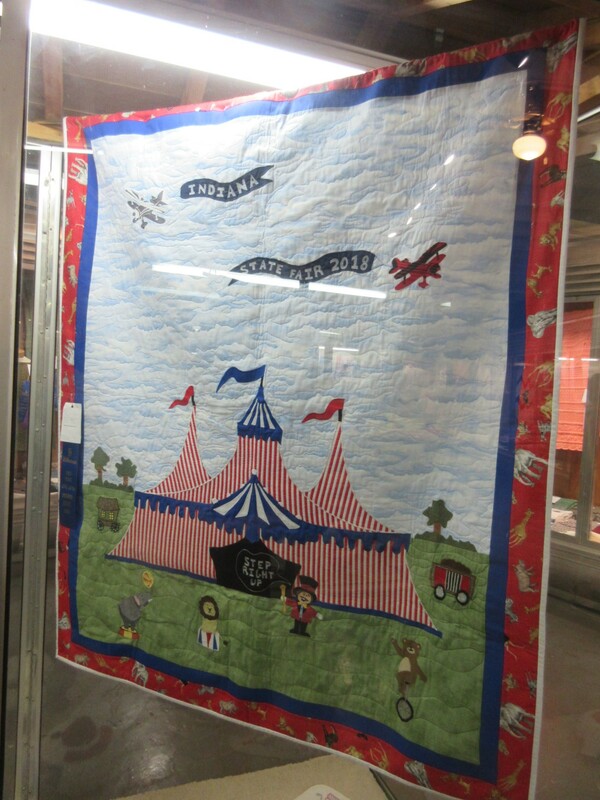 A variety of contributors played along with that motif, inspired entirely by the real live circus that planted their Big Top on the north end of the fairgrounds and offered three performances every day for the entirety of the fair, included basically free with the price of fair admission. For anyone who loves the concept, it was a brilliant bit of entertainment synergy. Too, too brilliant. By the time we got to the Big Top twenty minutes before the first showtime, we discovered the line had already been nearly 2000 long for a seating capacity of 1600. In theory we could’ve come back for the second or third performances, or simply come back to the fair another day altogether. We didn’t feel like waiting. 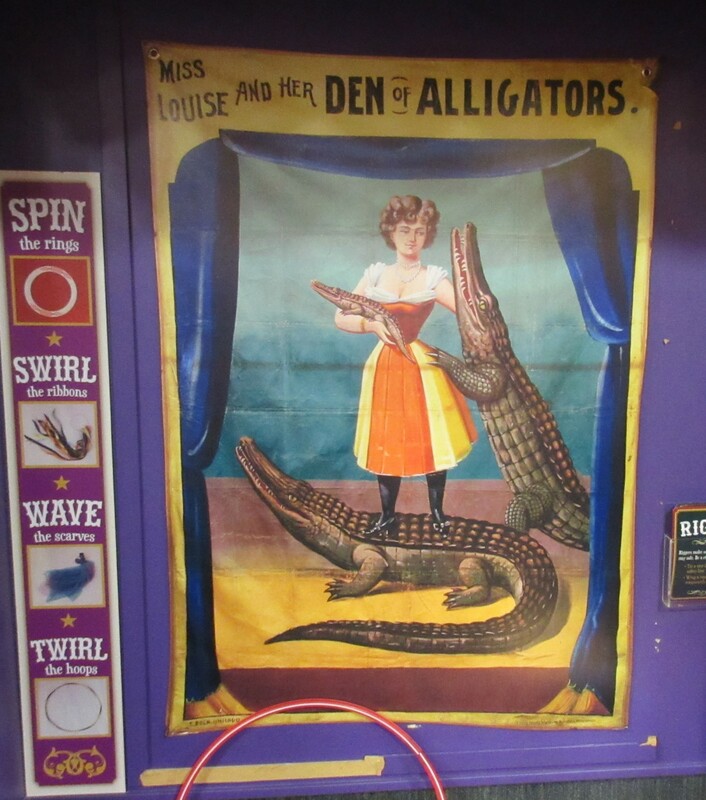 We gave up on the idea and settled for eying all the circus-esque exhibits we could find instead. Hand-sewn clown costume, preferably for a fun-oriented wearer rather than one of those unsightly evildoers sullying their profession’s reputation. 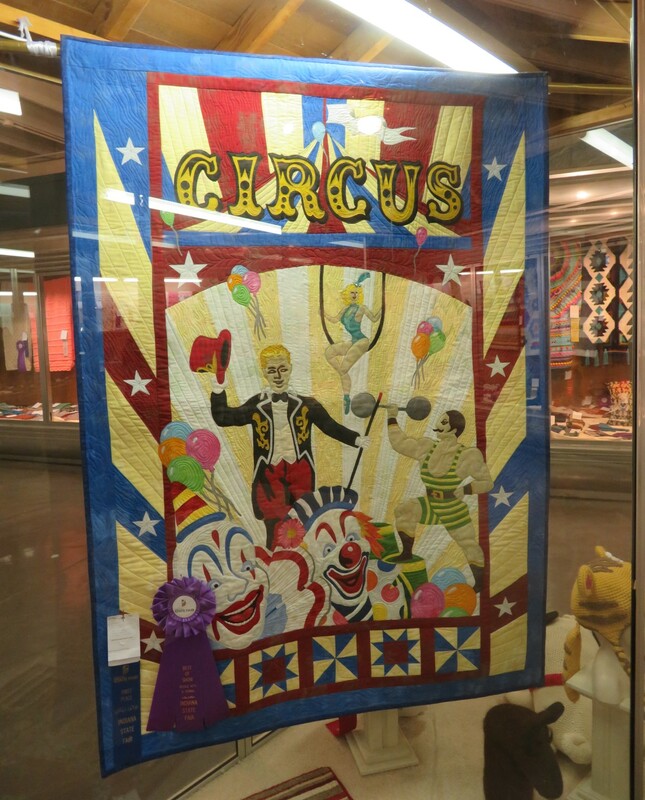 Old-fashioned circus toys for low-key kids. 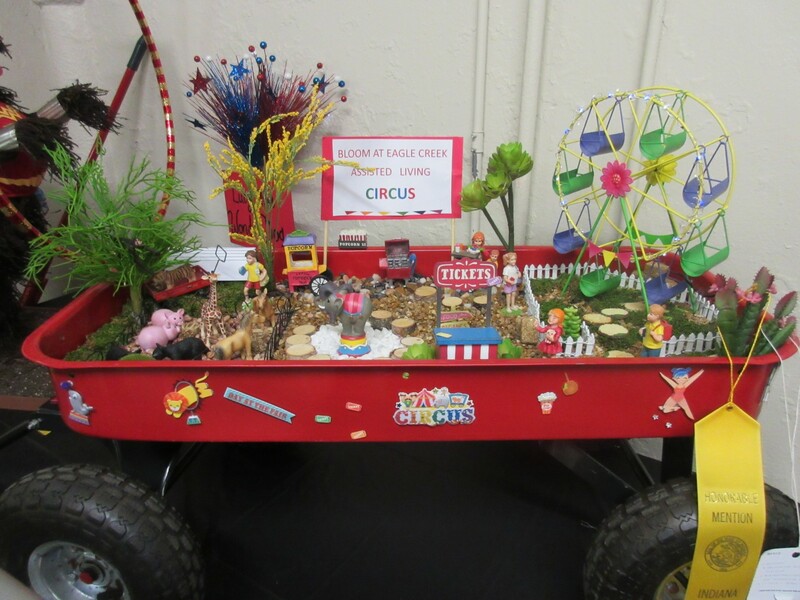 Circus diorama in a wagon, all the better for traveling the countryside. 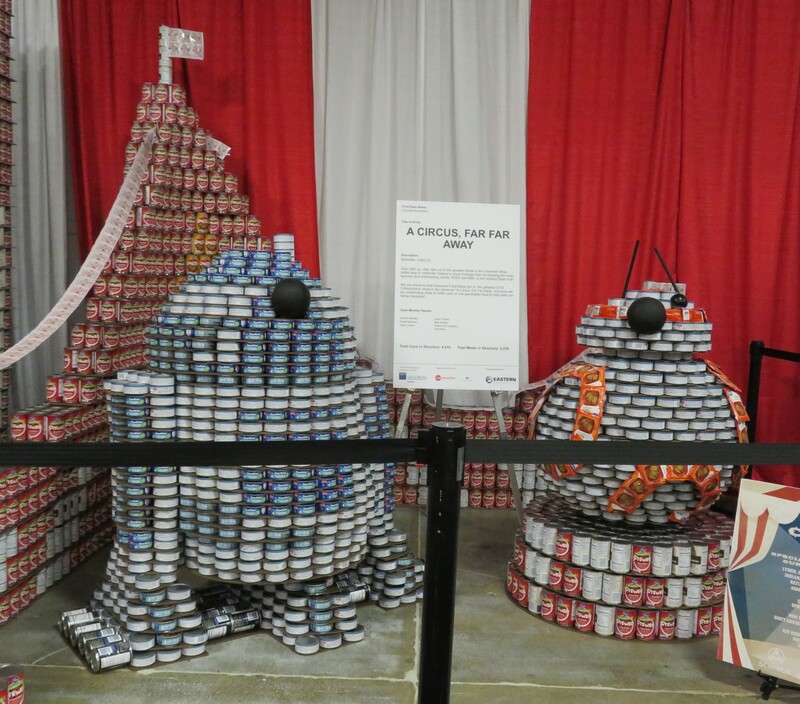 One of the annual traditions that always catches our eye is the canned-food sculpture contest. 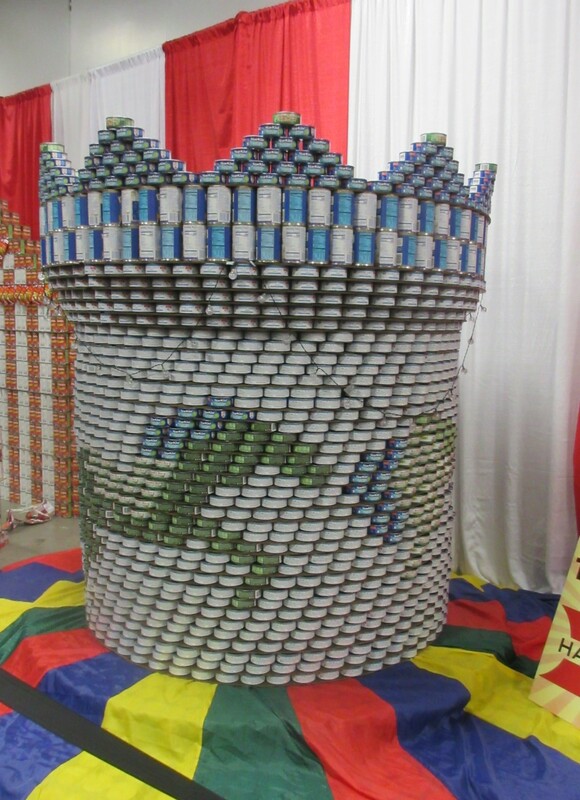 Teams stack thousands of cans into shapes fitting a preselected theme. 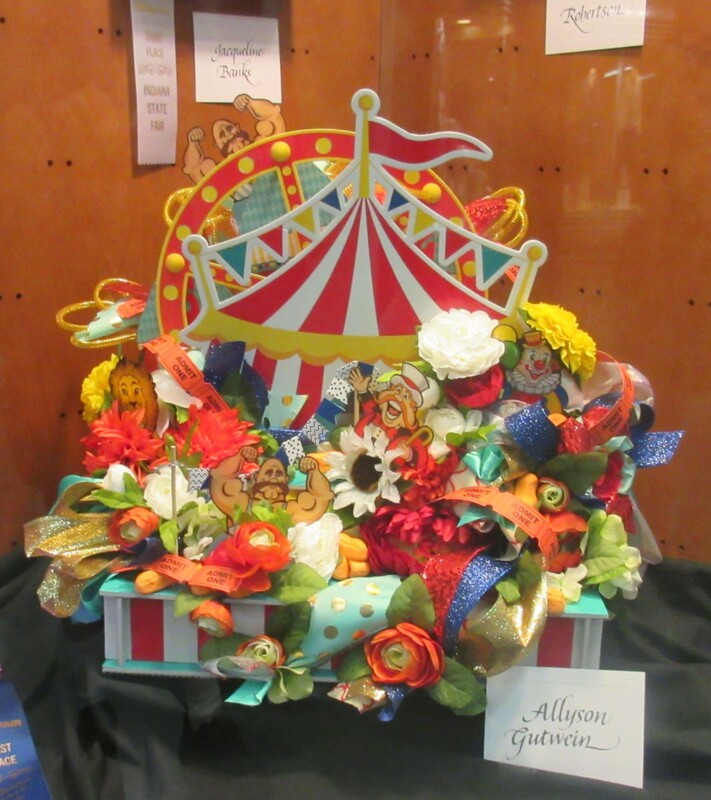 Naturally this year they aimed for circus iconography, though they had a harder time than usual coming up with visually distinguishable and on-topic ideas. 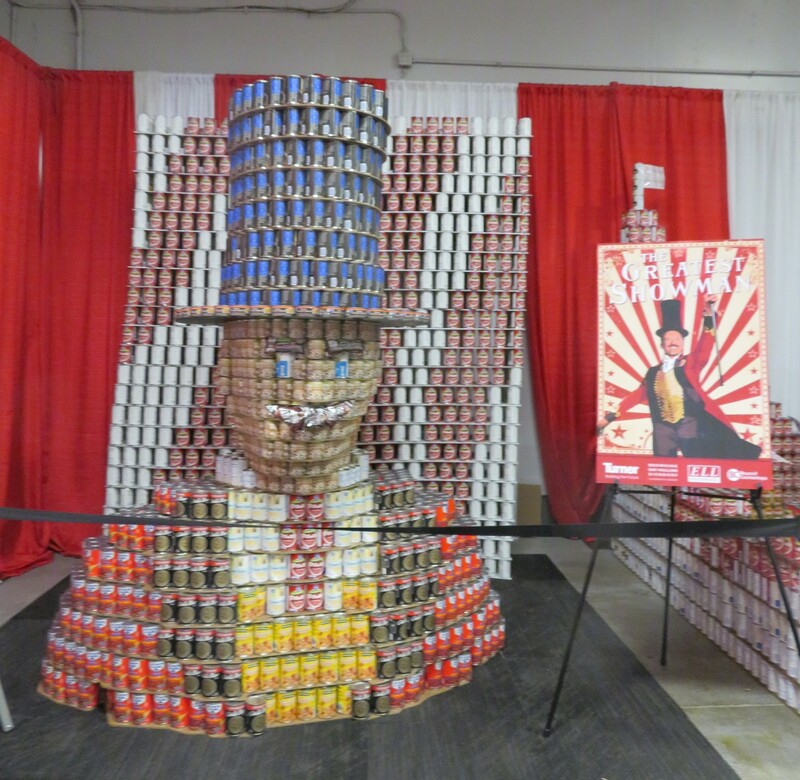 Tin ringmaster not unlike The Greatest Showman. Call him Hugh Jackcan. If you loved Pixar’s Cars, and if you love the idea of them joining the circus, now here’s canned circus clown Cars! 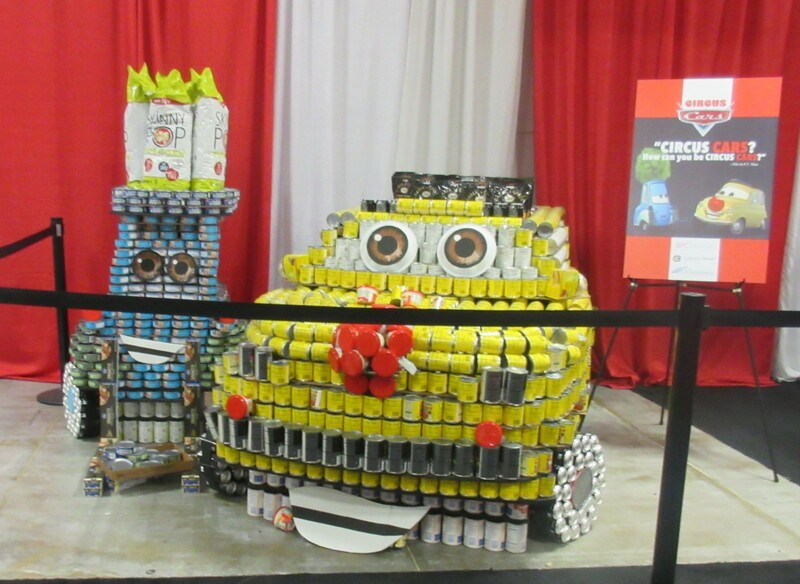 Someone really wanted to make R2-D2 and BB-8 out of cans, found out the theme after the fact, stuck clown noses on them, and tried passing off the results as New Canon. Nice try. 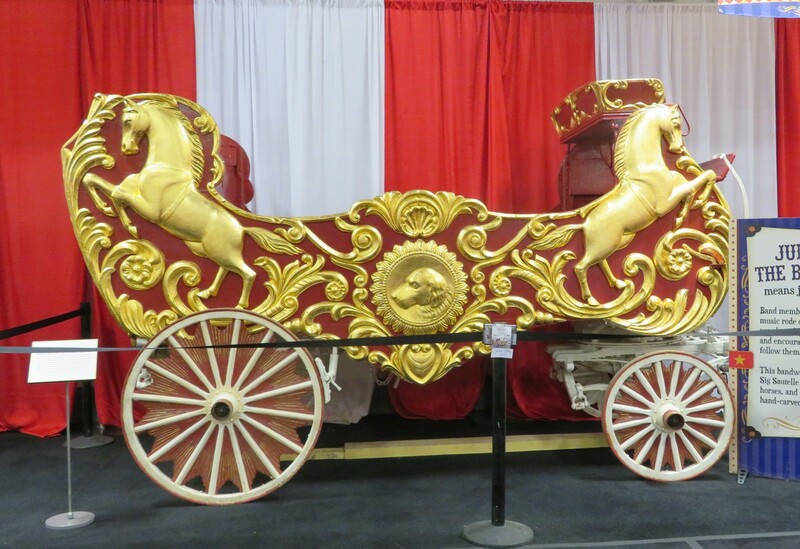 For value-added circus-based fun, the State Fair in conjunction with the Children’s Museum of Indianapolis also offered a special exhibit called “Celebrating Indiana’s Circus History”, with interactive kiosks, children’s activities, historical artifacts, and a large screen playing random scenes from The Greatest Showman. We haven’t seen it yet, so I had to avert my eyes to prevent spoilers. We had plenty of other colorful items to view in the meantime. Obligatory acknowledgement that, historically speaking, yes, mistakes were made. 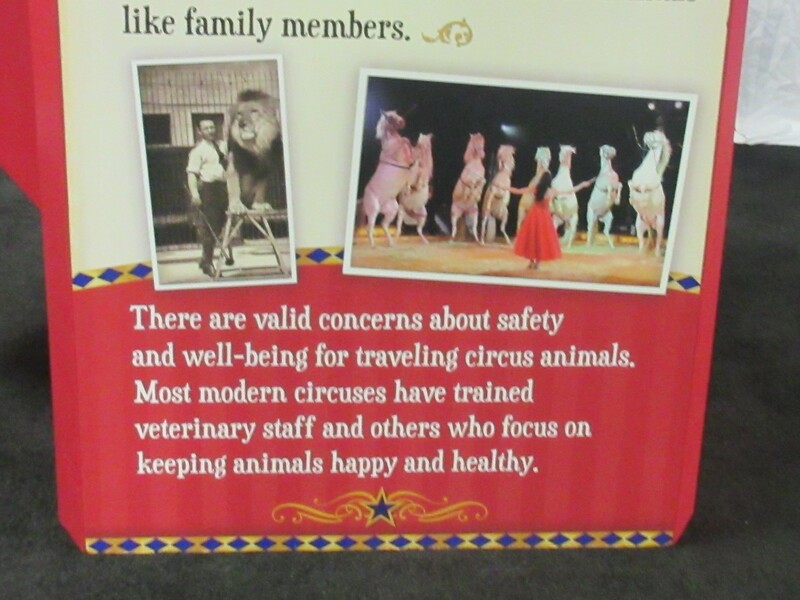 Involving circus animals. But they’re hopefully doing better about that? 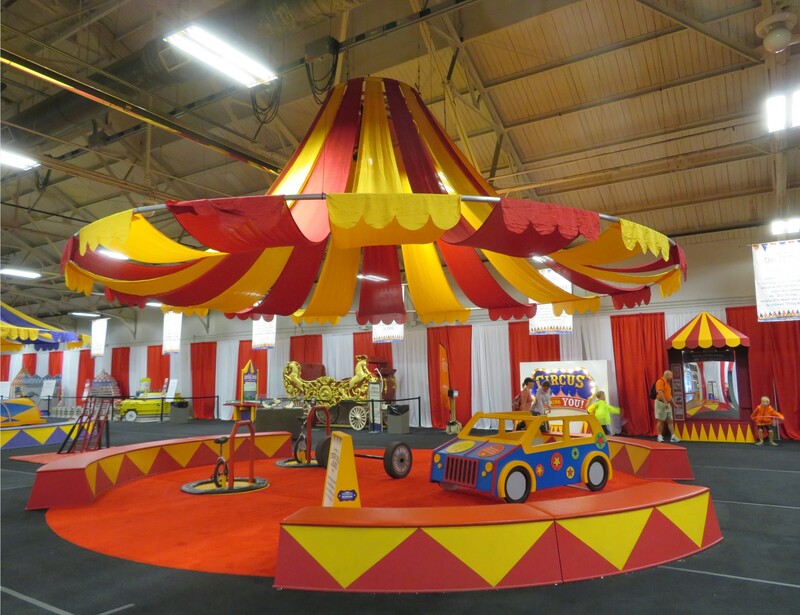 One of three rings offering hands-on circus whimsy. 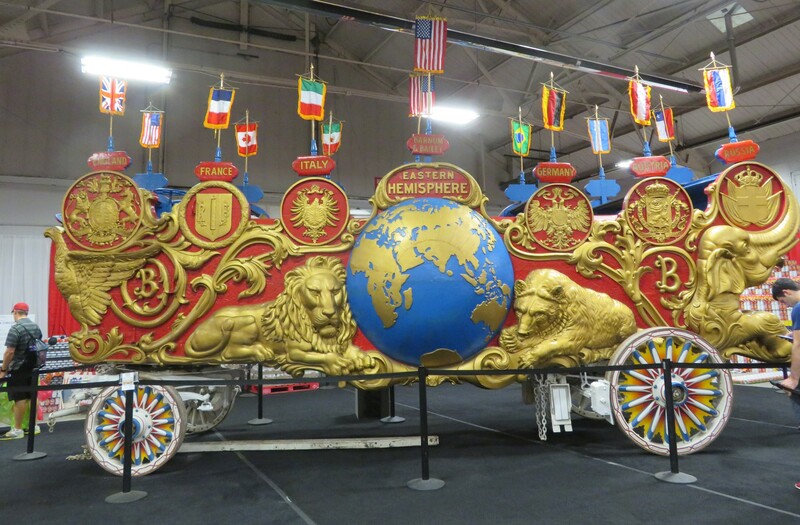 A Ringling Brothers Barnum & Bailey parade wagon that spanned nearly the entire width of the building. 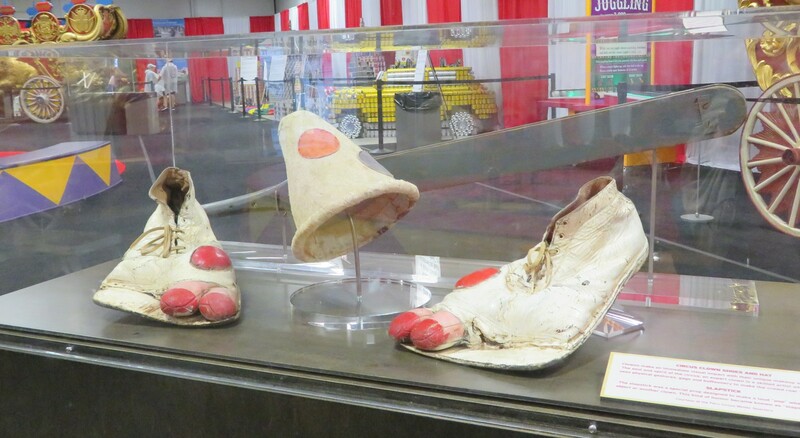 Authentic clown props include clown shoes, clown hat, and an actual slapstick, which was very much a thing and not just a comedy mode. 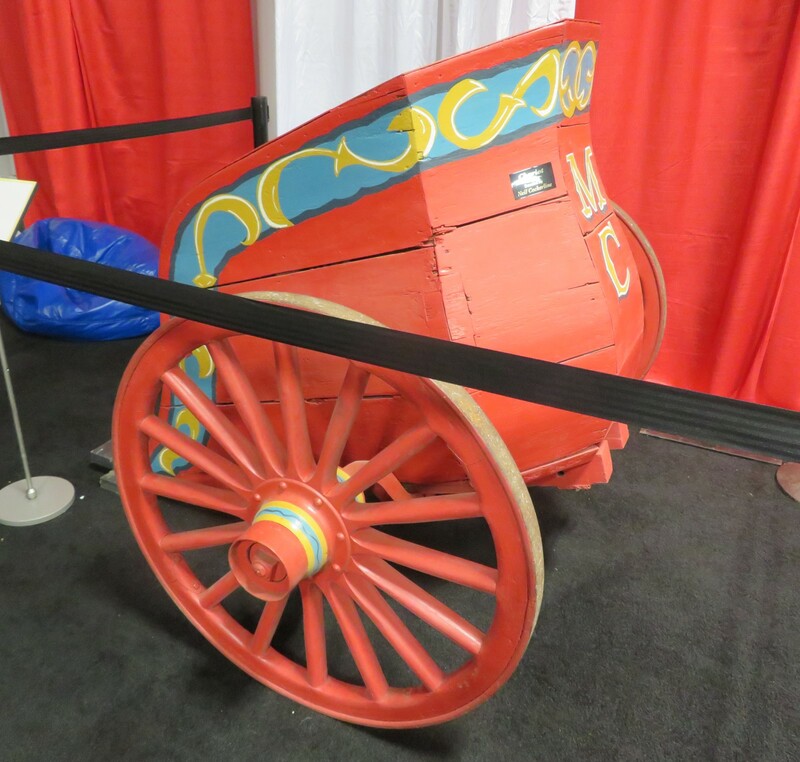 Also a very real thing and not just a metaphor: bandwagons. Vintage circus posters advertise performers who could’ve doubled as ’60s Batman villains. Back in the day, Ben-Hur didn’t corner the market on chariots. 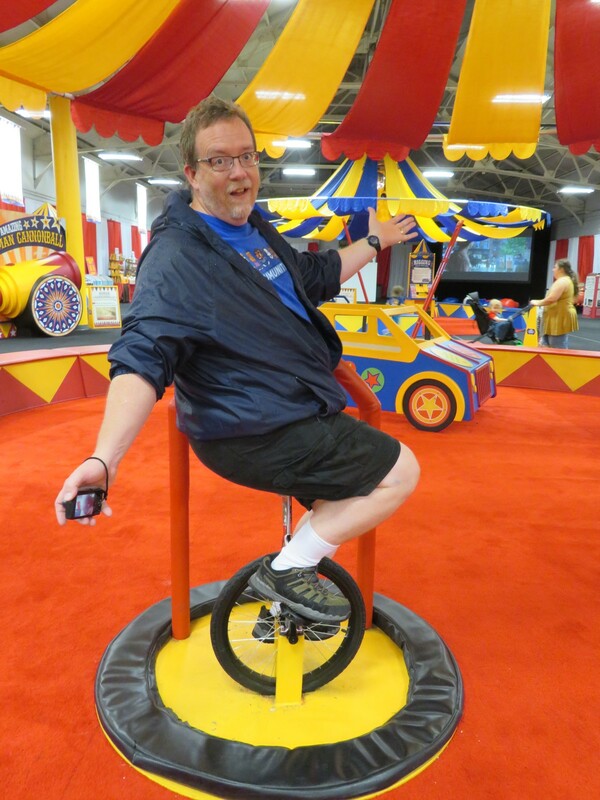 My unicyclist audition went straight down the tubes when I realized no one was judging me. I hope.